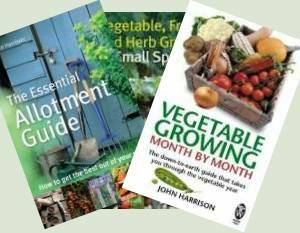 A new article in the month by month gardening series is now online. Wheelbarrow Tyre and Garlic Defeat Allotment Holder! New Smoking Laws and What’s Next? The new anti-smoking law is about to come in and I'm not very happy about it. But what is next on the agenda? Judges on the site, our new toilet block and finally planted out the runner and climbing beans as well as the squash and pumpkin. On our visit to France we came across some unusual old gardening tools and equipment. Can you identify this item? New recipe section now online. We knew it needed a bit of an upgrade and this is it. Hope you like it. Fantastic carrots from the greenhouse but not able to do much on the soaking wet plots. More rain due. The results of the petition to the government are in. I can't say wonderful but they do offer advice to those with threatened allotments. Too wet to do much on the plot apart from a bit of weeding. Moving some brassicas along and sowing more cauliflowers. Will the Rain Never End? First potatoes harvested, got the new bed rotovated and absolutely soaked as the monsoon returned. If our allotment site is anything to go by, raised deep beds are very much the 'in thing' for growing vegetables. 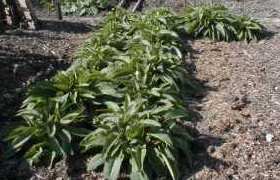 These articles discuss the advantages and disadvantages as well as how to construct raised deep beds for vegetable growing. Still catching up after our holiday, digging over the bean patch and trying to hold things in pots that should have been planted out a week ago. Back to the plot where I was amazed by the difference ten days have made. Everything has grown so much, including the weeds. Returned from the Limousin where we've been gardening with seeds and watering cans rather than wine and cheese. A busy weekend on the allotment plots, everything from sowing carrots to cutting comfrey. Finally got back onto the plot where I was taking cloches off the sweetcorn and onto the outdoor tomatoes. You can completely eradicate red spidermites from a greenhouse using a natural predator. Organic and safe as well as effective and easy to use.